Essex is considered by many to be America’s Antique Capital with over thirty shops within a mile of each other focusing on antiques. Essex is a collector’s, dealers and decorator’s paradise with art, furnishings, and accessories ranging from “early attic” to fine American and international antiques all housed in antique buildings in close proximity. 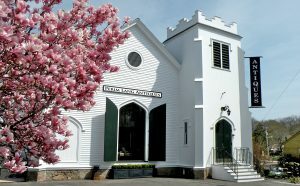 See a photo tour of Essex, MA at www.VisitEssex.com. Essex is considered by many to be America’s Antique Capital with over thirty shops within a mile of each other focusing on antiques. Essex is a collector’s, dealers and decorator’s paradise with art, furnishings, and accessories ranging from “early attic” to fine American and international antiques all housed in antique buildings in close proximity.